Amami Haruka project START! – How Do You Figure? 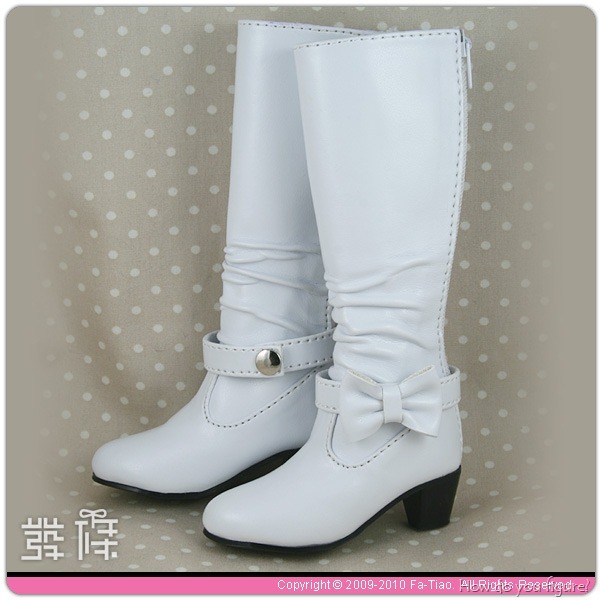 After a tip from D.Ark about doll clothing seller Mimi Woo (on eBay and online), I started browsing for items for Yoko and Rin. Yoko needed some shoes to go with her new Candy Dots outfit and Rin is always in need of some new accessories. Sure enough, I saw an outfit so cute that I couldn’t resist. Over the next few months (maybe less? 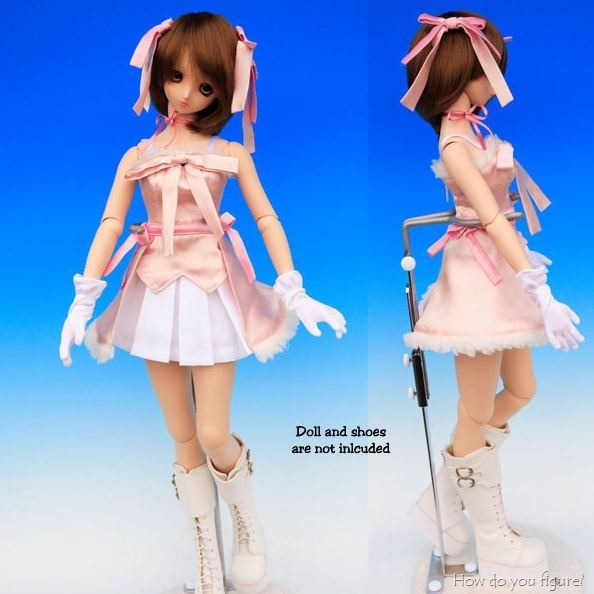 ), I’ll be getting items together to create a custom Dollfie Dream based on IdolM@ster’s Amami Haruka! 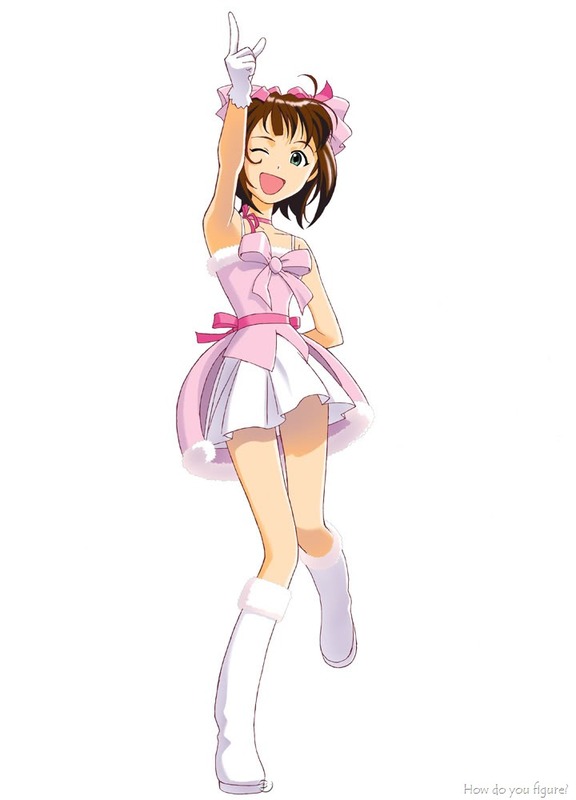 The outfit I found was an exact match for what was used for the promotional material for the IdolM@ster SP PSP game, so I’ll be basing the doll on those pictures. As for the doll itself, I’ve settled on the M-bust base body, though the head is still a bit up in the air. The eyes will probably take some thought as well, but the Type G, H, or I animetic eyes from Volks will probably do the trick. The hardest piece will probably be the wig, so if anyone has suggestions, I’m open to them! If all goes well, I’ll have a new daughter joining me in a couple months! Of course, can’t go without having some video of Haruka in action! She’s even wearing an alternative color to the outfit! You might be able to find such styled wigs, if not, you can always style one yourself to match. Are Haruka’s eyes green? I still have some Dollfie animetic eyes Type-G 22mm Wakaba(Bright green) lying around unused. 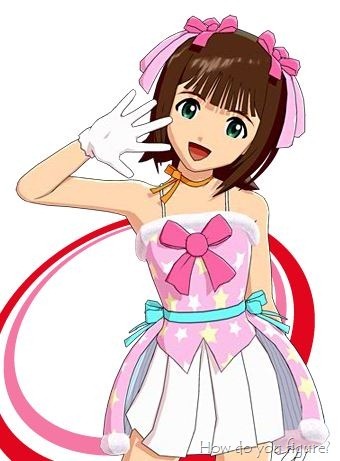 Yep, Haruka’s eyes are green (I actually didn’t know that until I looked it up). I was actually looking at the G type in either 22 or 20 with the DDH03. I was actually looking at a used Yukino for the base, if I could get one for a decent price, that’d get me most of the pieces I need (except the eyes).